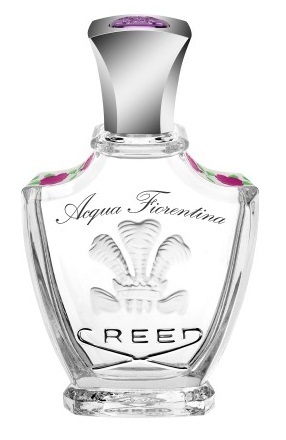 CREED's coveted Acqua Fiorentina - long unavailable - is back, to my delight and the delight of its countless devotees. Now dubbed Acqua Fiorentina - The Encore, it's available in three sizes: 1) a generous one-ounce (30 ml) travel size at $155; 2) a 2.5-ounce (75 ml) "regular" size at $155; and the 8.4-ounce (250 ml) flacon at $420. The flacon is super-gorgeous. Anyone who wants to ensure she (or he) never runs out of Acqua Fiorentina again will want to buy the flacon. In response to his clients’ standing ovation for Acqua Fiorentina, which departed our local counters in 2010 (if I remember correctly - I got the last one at Neiman Marcus Tysons Galleria), sixth-generation master perfumer Olivier Creed in Paris created this perfect gift for his American customers: Acqua Fiorentina - The Encore, a fresh new blend of the beloved fruity-floral fragrance. In a special touch, Mr. CREED added Diamond Jubilee Apple and grapefruit to the blend, honoring the Queen's special year. The inspiration for the original Acqua Fiorentina was 15th century Florence, where artists and innovators, such as Leonardo da Vinci and Michelangelo, sparked a new flame of beauty and culture with Renaissance art that's priceless today. Fittingly, orchards and farms around Florence are the sources for the ingredients in Acqua Fiorentina. Acqua Fiorentina - The Encore is vivid. 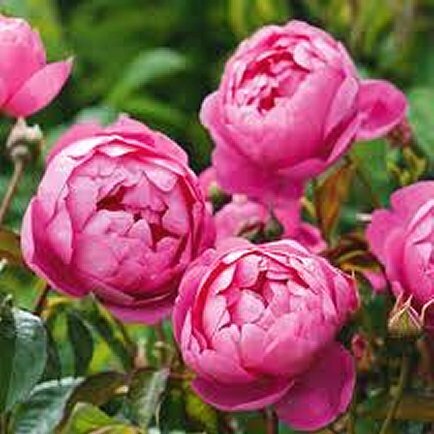 Imagine the setting of a rich Renaissance parlor, perhaps at a lively feast at a table filled with a sumptuous display of fruits and flowers. The sensory experience, the elegance, and the setting will converge in your mind with the scent of Acqua Fiorentina - The Encore. The initial spray places me at the table, almost with a sensory overload from the richness of the ingredients. The heart of the experience and the soft dry-down that follows bring me slowly back to realities of the 21st century, with the reminder that wearing Acqua Fiorentina is a bit like time travel - a magical delight to be savored. Introduced for Holiday 2012, Acqua Fiorentina is already available at the CREED Boutique, Neiman Marcus, and Bergdorf Goodman. I purchased my original bottle at Neiman Marcus and my first bottle of The Encore from the CREED Boutique (online). I received my second bottle of The Encore as a gift from CREED. Knowing I can alternate the original with The Encore makes me enormously happy. Never tried Creed before, sounds pretty. May preorder the new Chanel. I was able to use to 10%off on cosmetics at Saks. It's a code they email, to use online only. Last time I got 20% off. From now on I open all emails from them. Unfortunately, they do not have a big selection of the fall makeup yet. But got a few goodies. Lucky you! Maybe next time, you can try CREED.